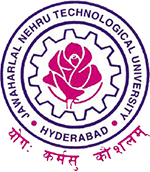 JNTUH B.Tech/B.Pharmacy 1-1 & 1-2 Sem Academic Calendar For AY 2016-17, jntu hyderabad R16 regulation I year Academic Calendar download. JNTU Hyderabad has announced Academic Calendar (2016-17) for non- B.Tech/B.Pharmacy 1-1 & 1-2 Sem Academic Calendar For autonomous constituent & affiliated colleges b.tech and b.pharmacy I & II semesters. Note : Supplementary Examination : 9th to 16th march 2017 ( Class work will be conducted during the suppelemntary examinations).